Mirka Hand Sanding Blocks for Abranet Strips complete with adaptor for attaching to vacuum. Mirka hand sanding blocks are especially designed for hand sanding with Abranet but can also be used in combination with other hook & loop products. 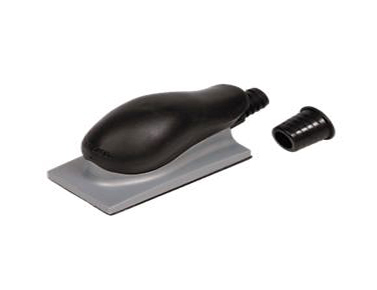 The hand sanding blocks are connected to a dust extraction system by hose to ensure dust-free sanding or can simply be used on their own with sanding strips.